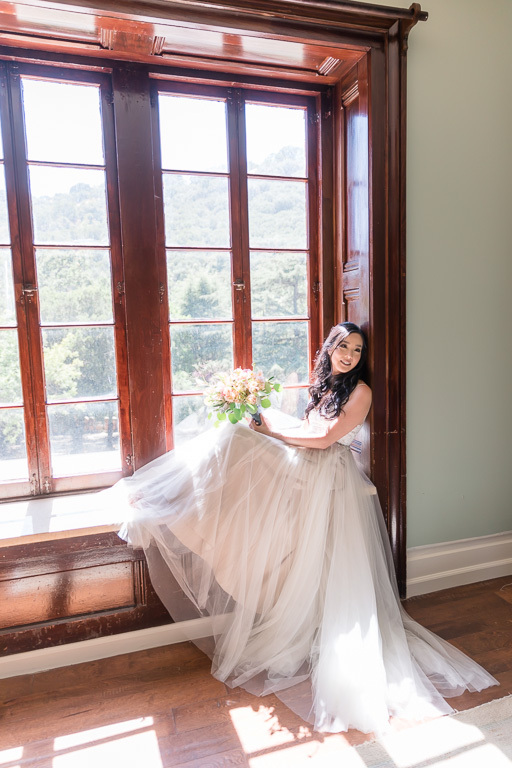 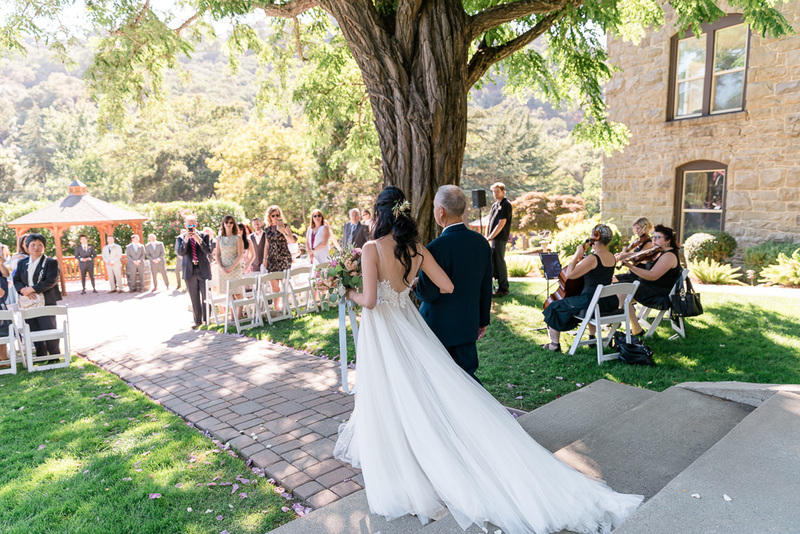 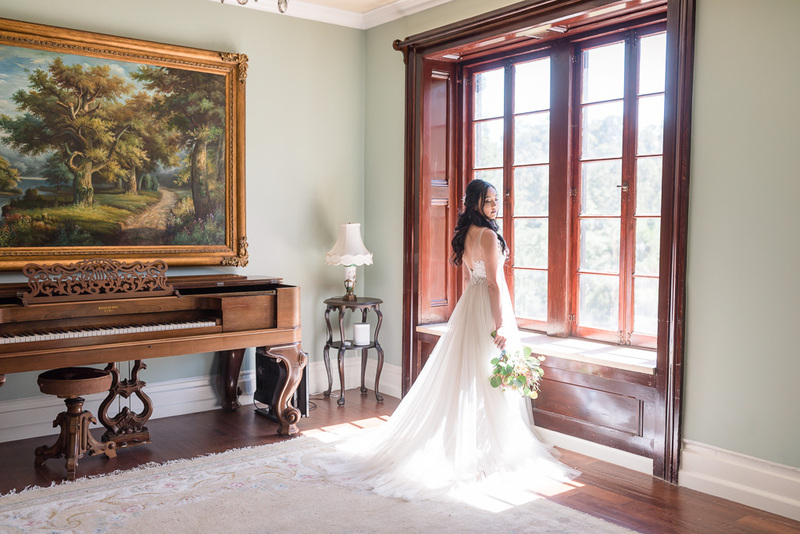 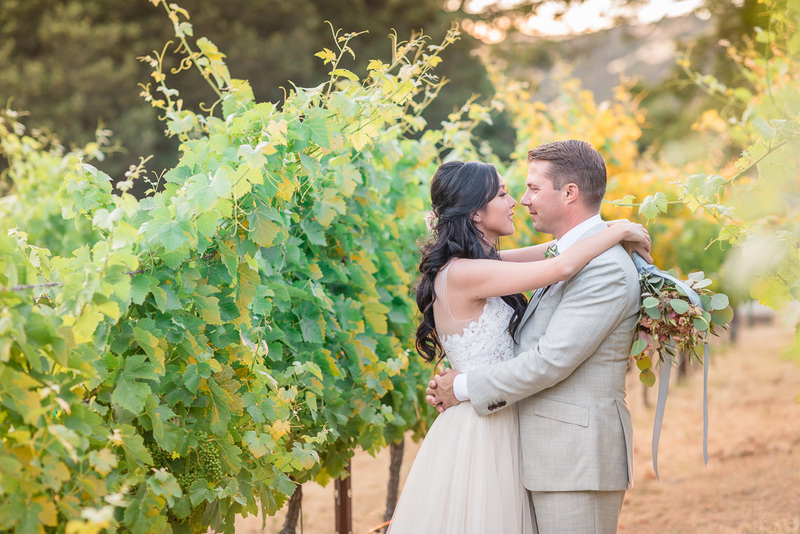 Elliston Vineyards in Sunol has always been one of our favorite Bay Area wedding venues ever since we photographed our first wedding there. 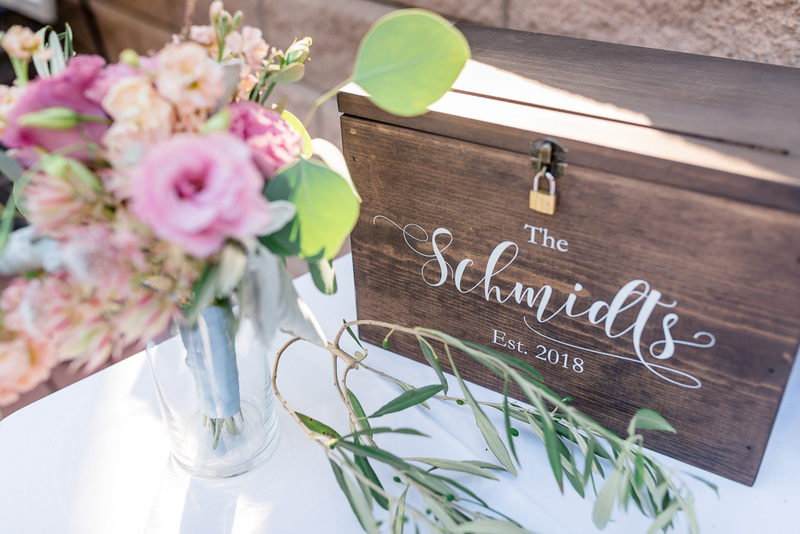 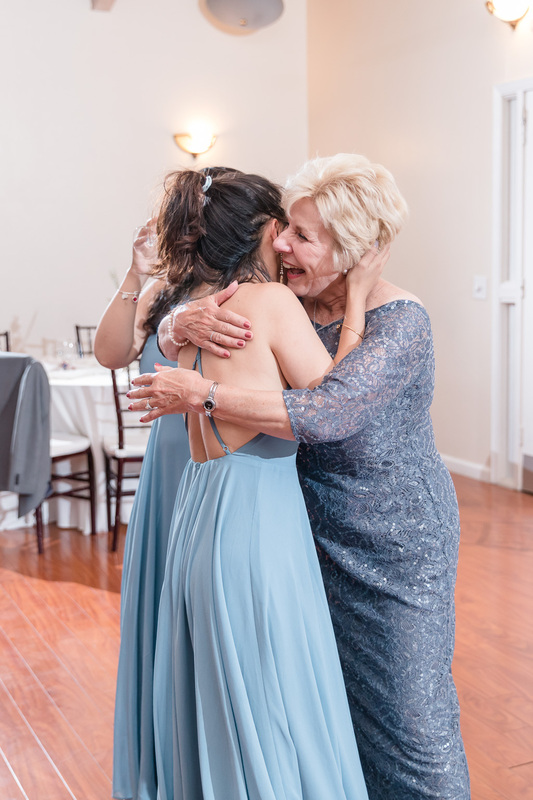 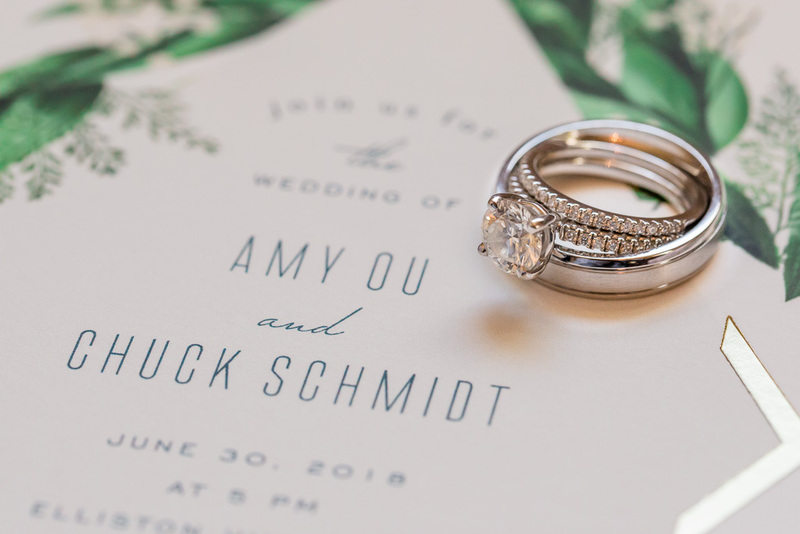 I’m really glad we had the opportunity to share this special Saturday with Amy & Chuck as they said their vows to one another and tied the knot in front of their family & friends. 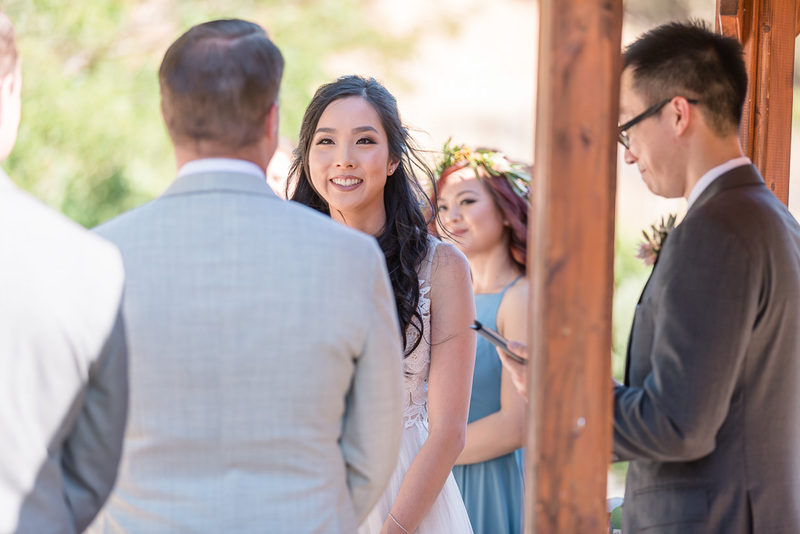 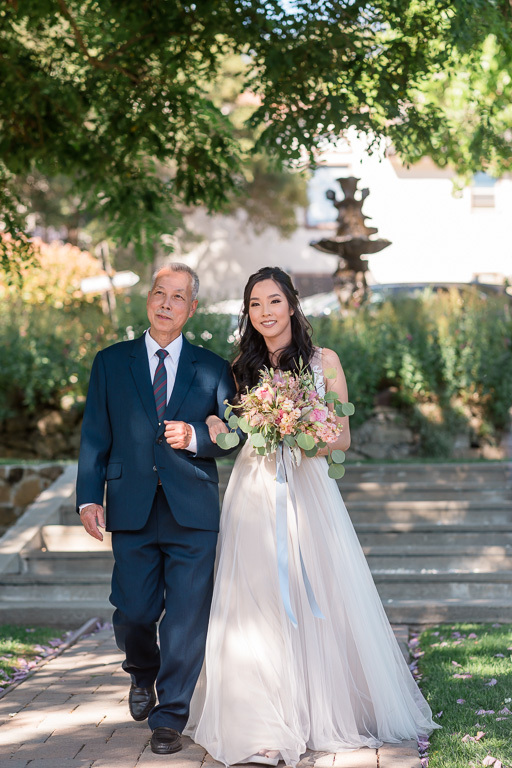 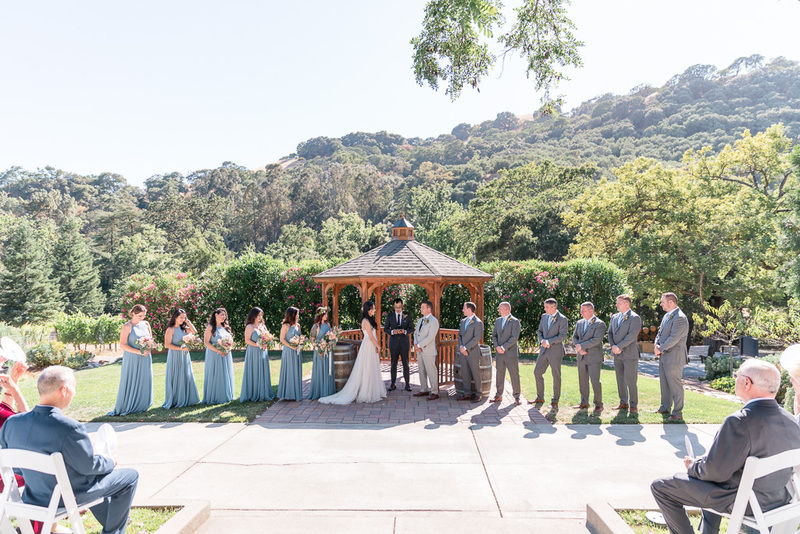 Their ceremony, set below a beautiful Sunol mountain backdrop, was officiated by Amy’s brother, making it extra special and unique. 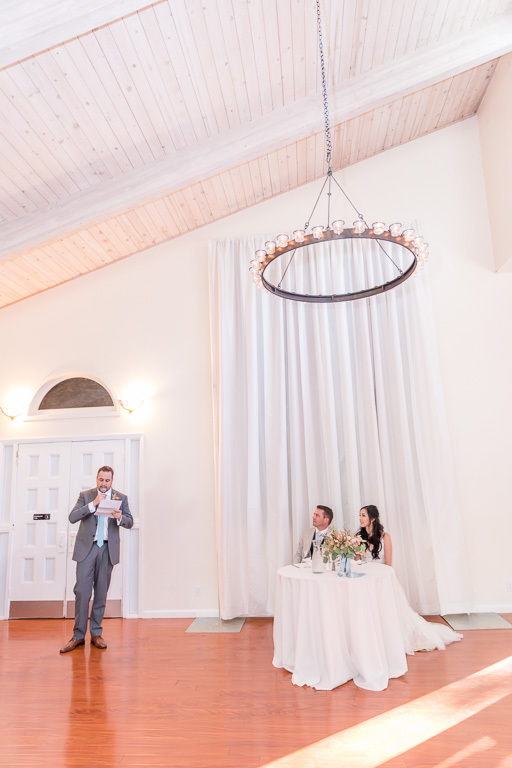 Elliston had a few new things we hadn’t seen previously. 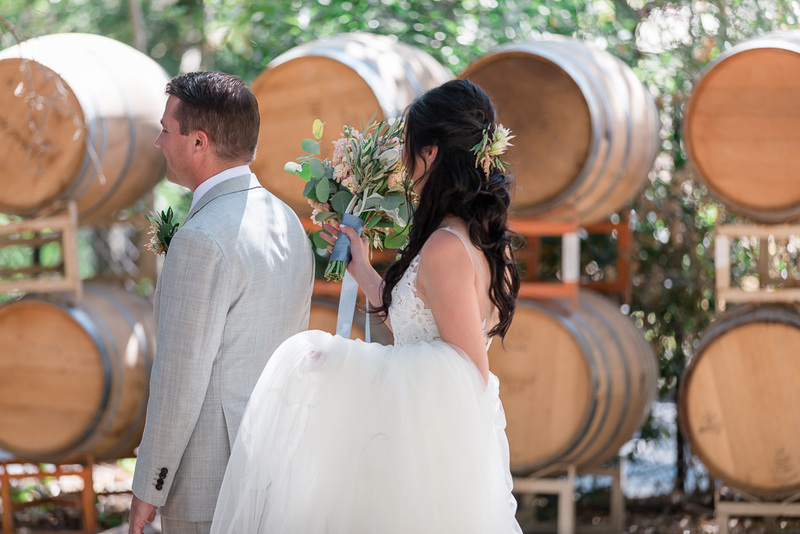 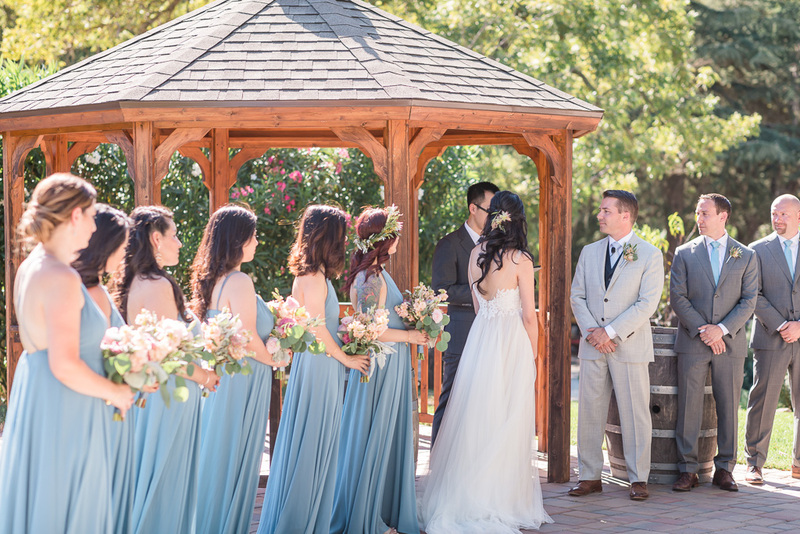 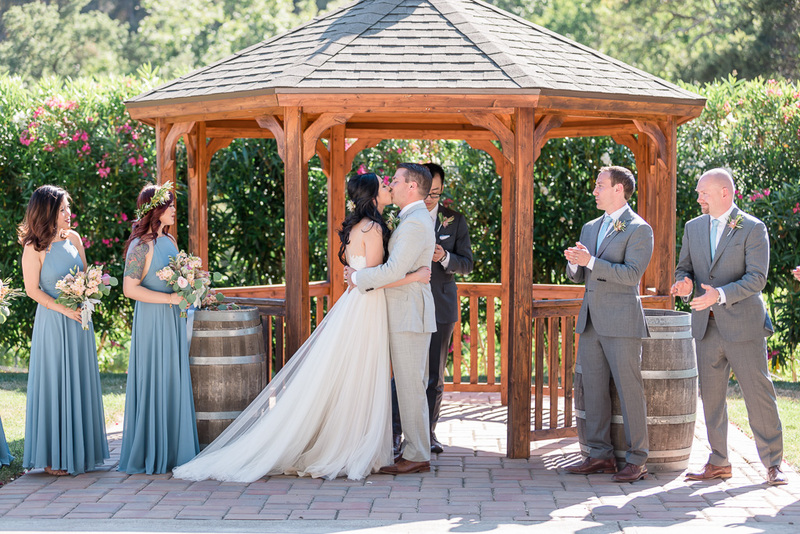 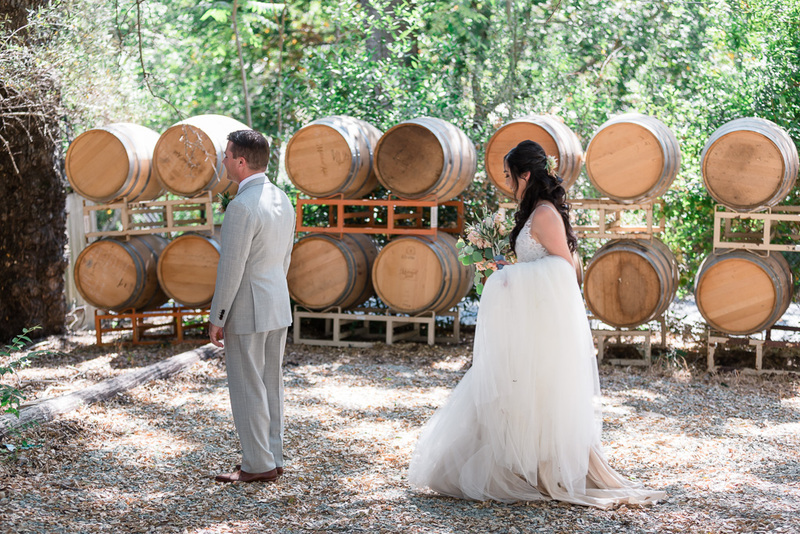 There was a row of wine barrels out front, making a perfect background for Amy & Chuck’s first look. 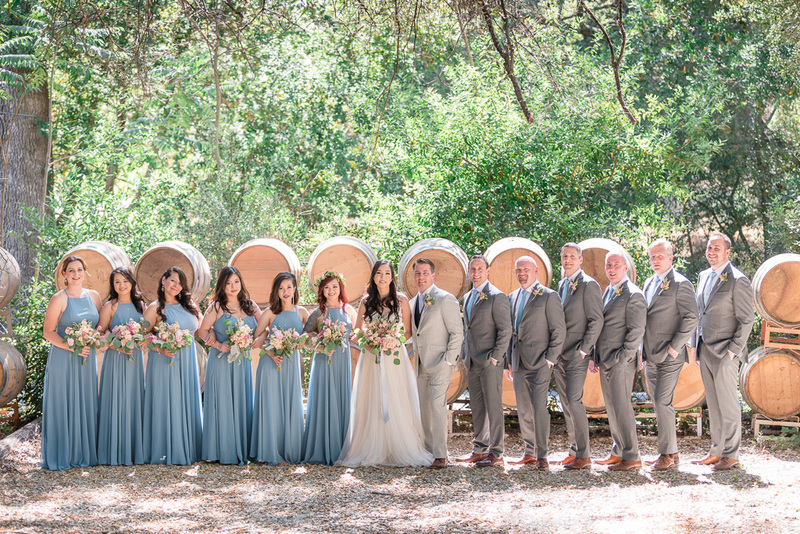 (If you look closely at the photos, you might notice one is missing… we tried to fill it in the gap by moving a barrel, but it turns out those things are really heavy!) 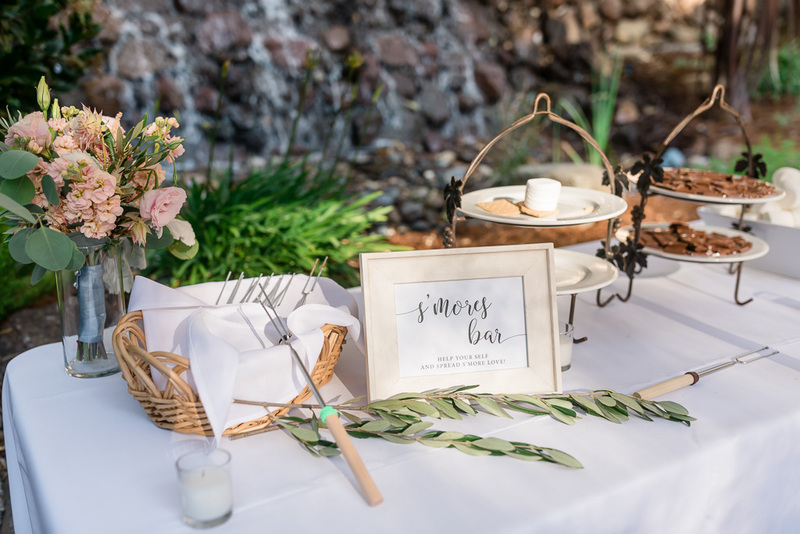 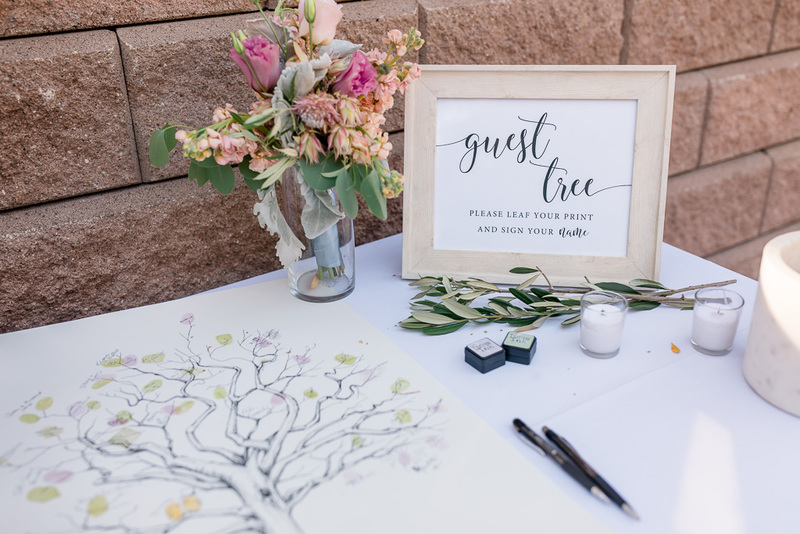 During the reception at night, a s’mores bar and fire pit were set up, and I thought that was pretty neat for the guests to enjoy. 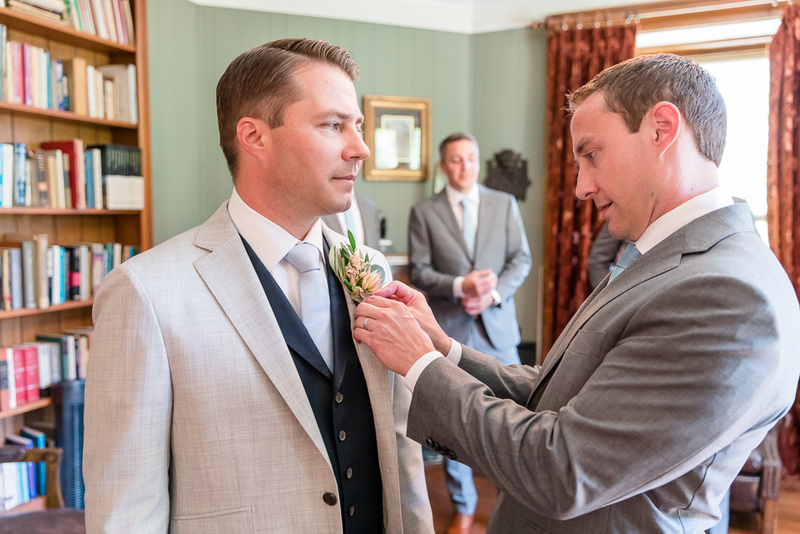 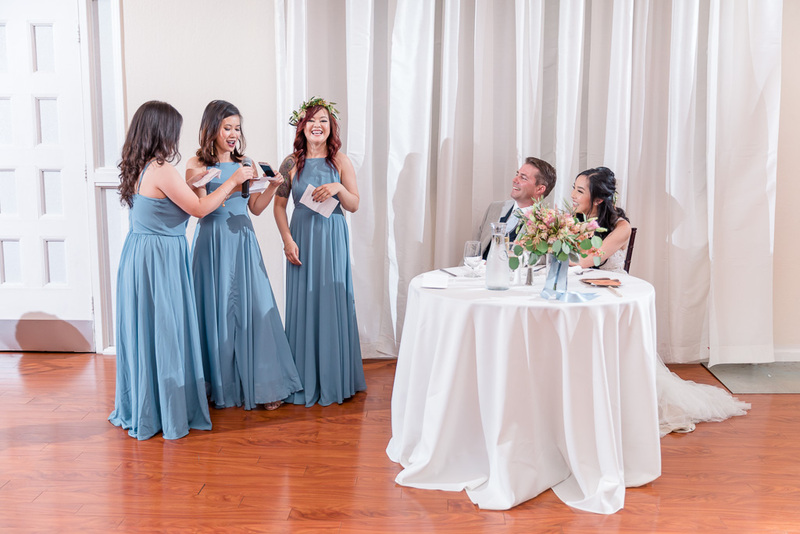 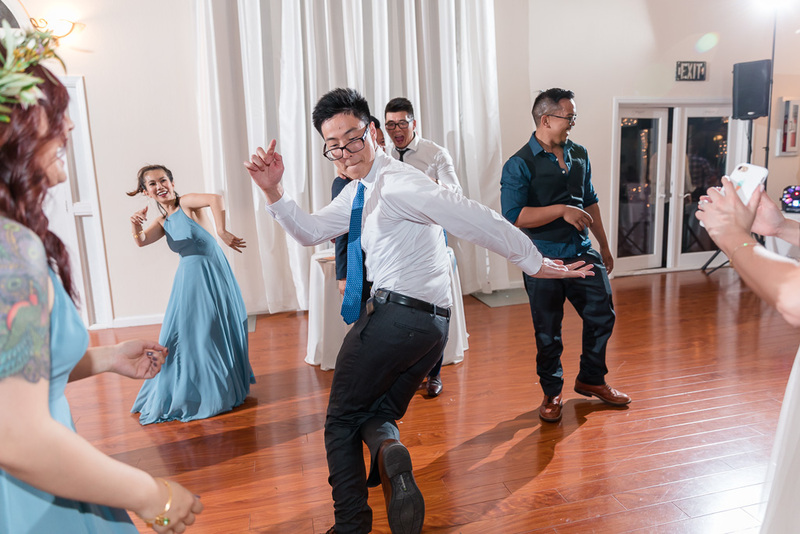 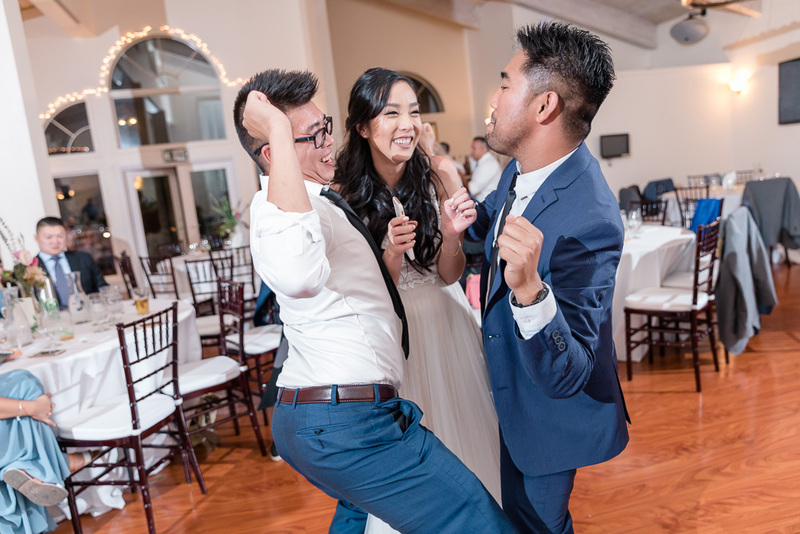 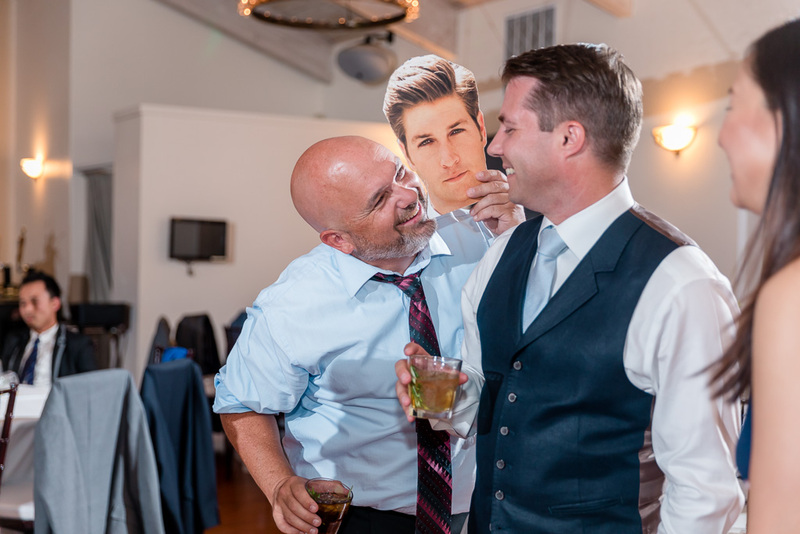 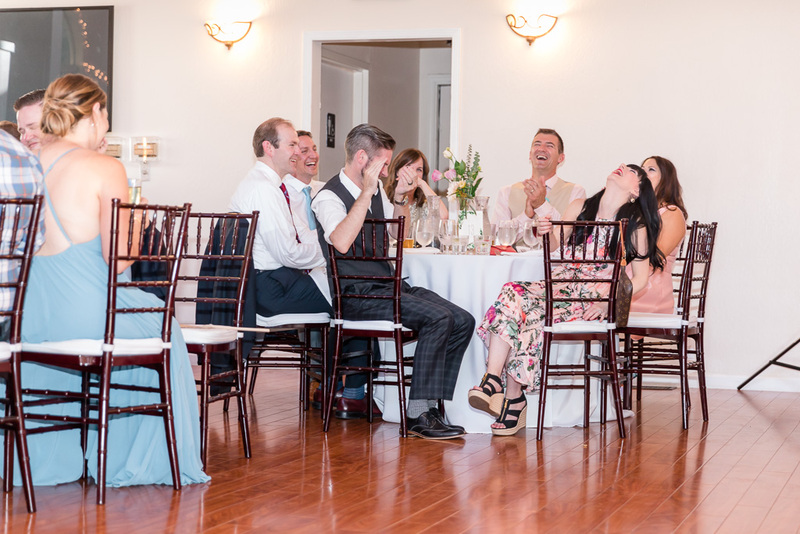 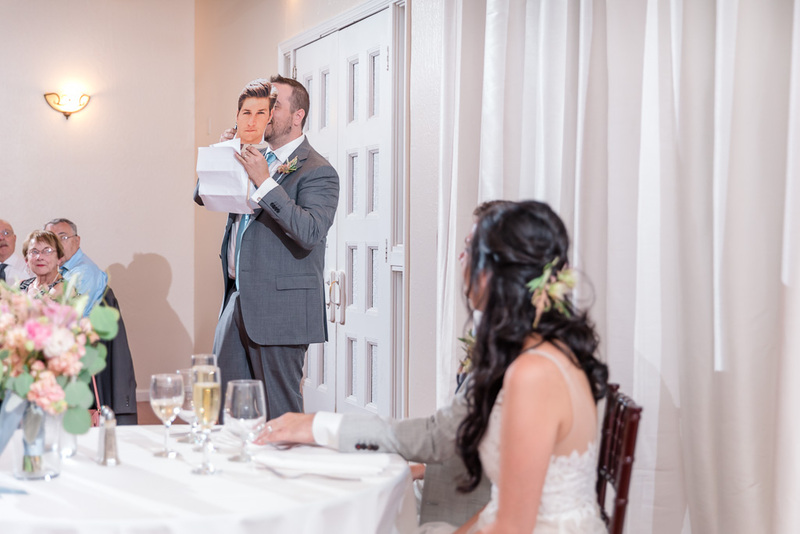 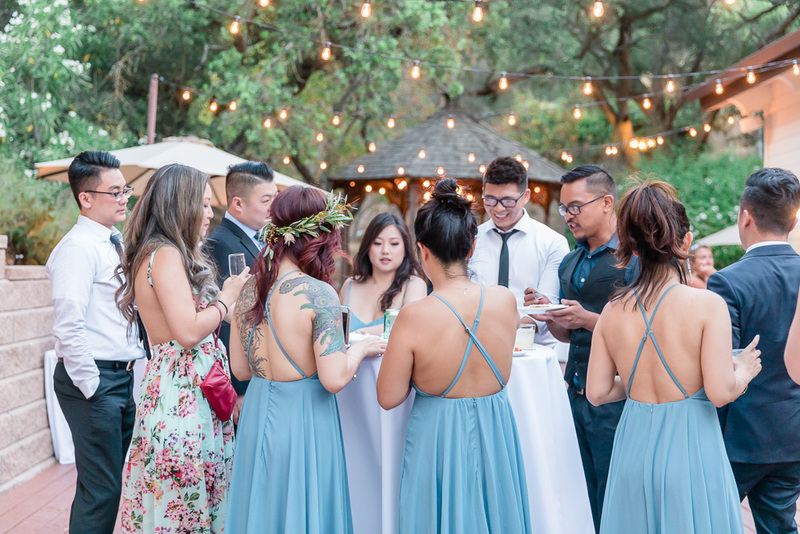 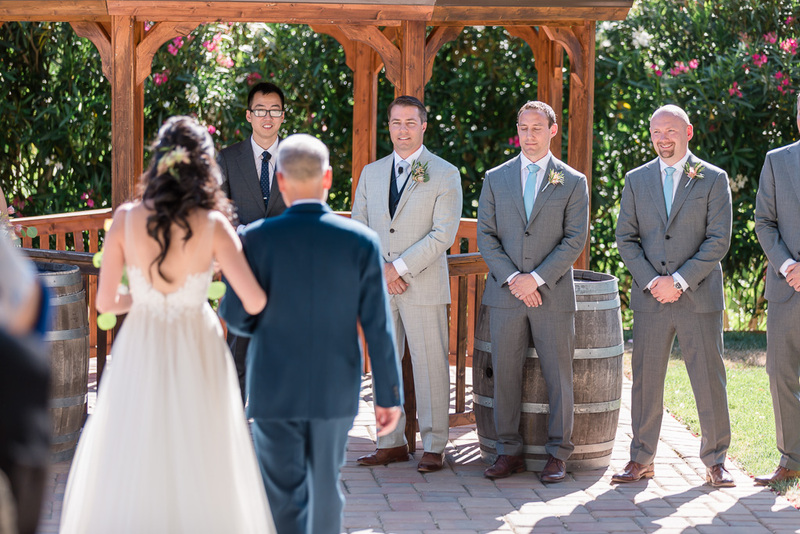 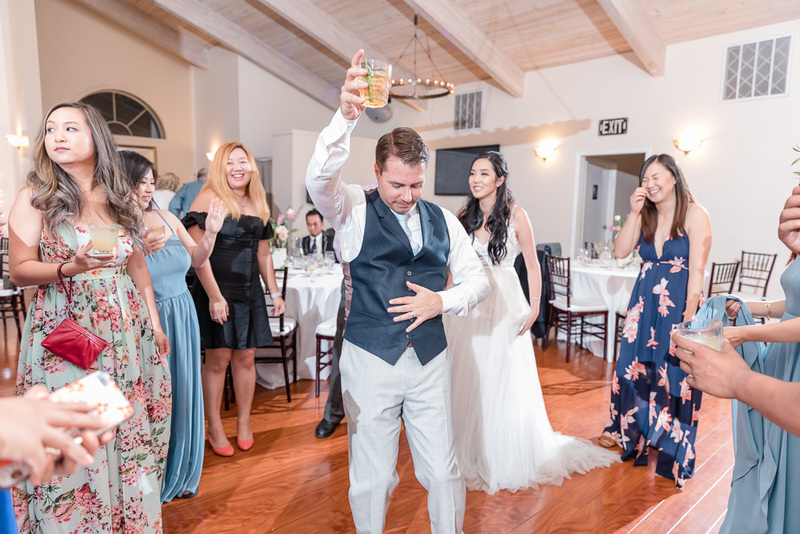 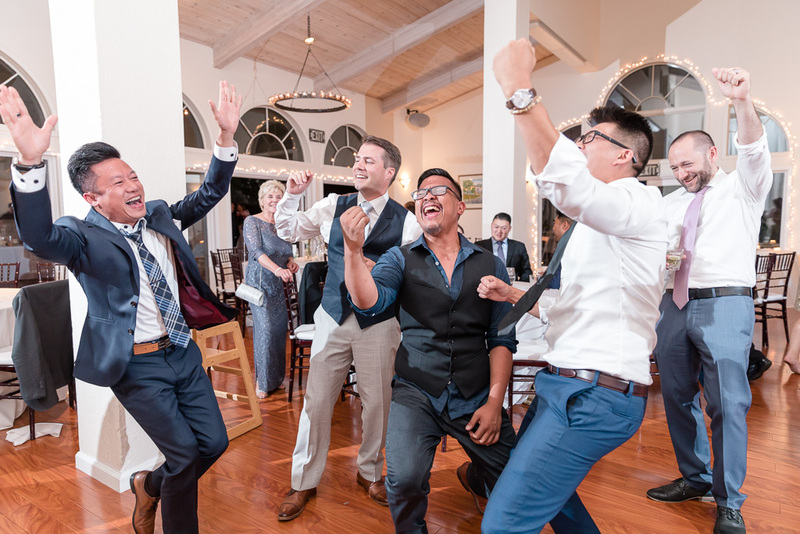 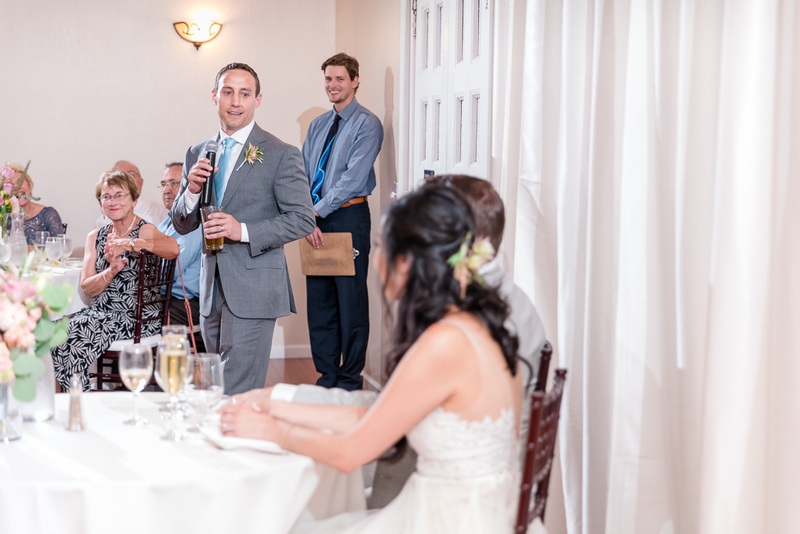 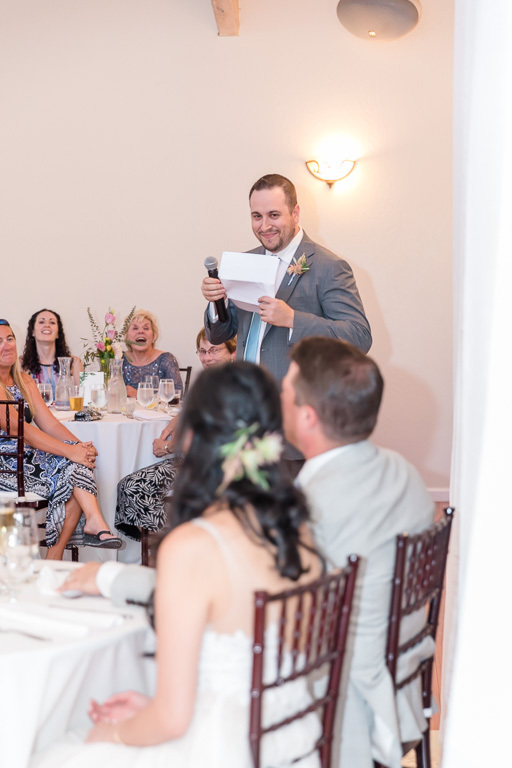 Speaking of reception, the groomsmen gave some particularly entertaining toasts, followed by three bridesmaids serenading the newlyweds with a song written just for them. 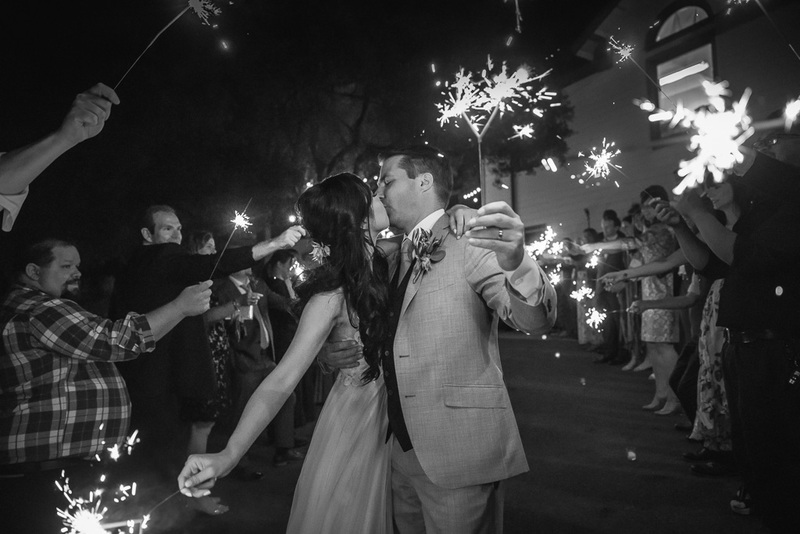 It was a beautiful night all around, and the wedding ended with a fun sparkler send-off. 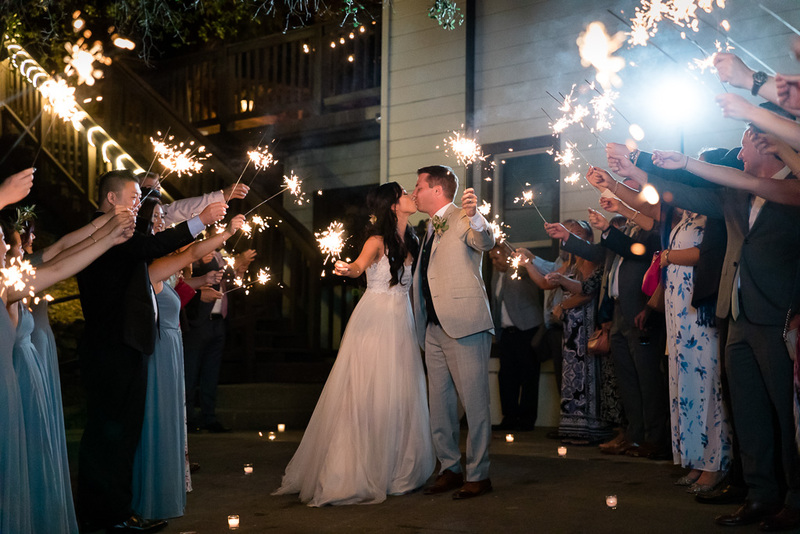 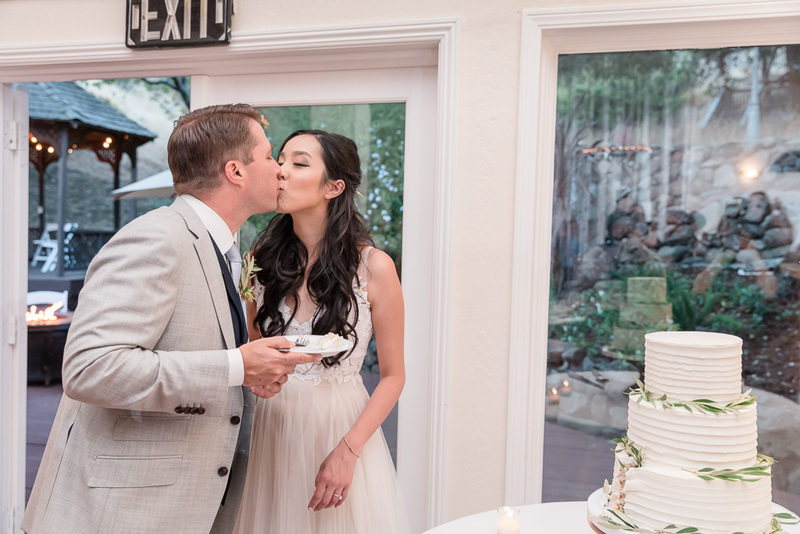 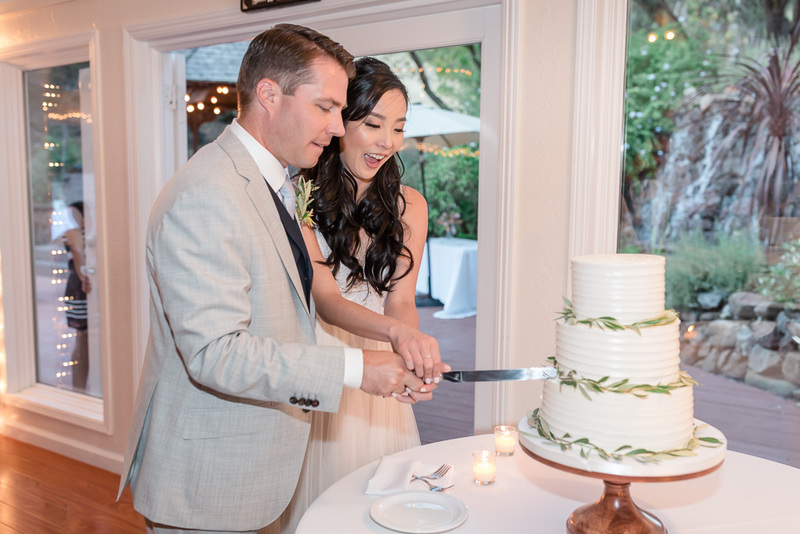 Amy and Chuck held super cute heart-shaped sparklers (take notes, dear reader — get these for your wedding!) 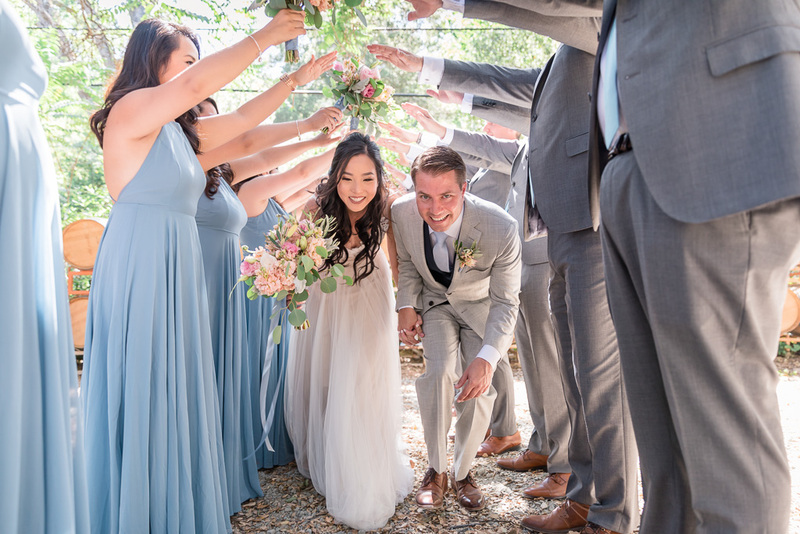 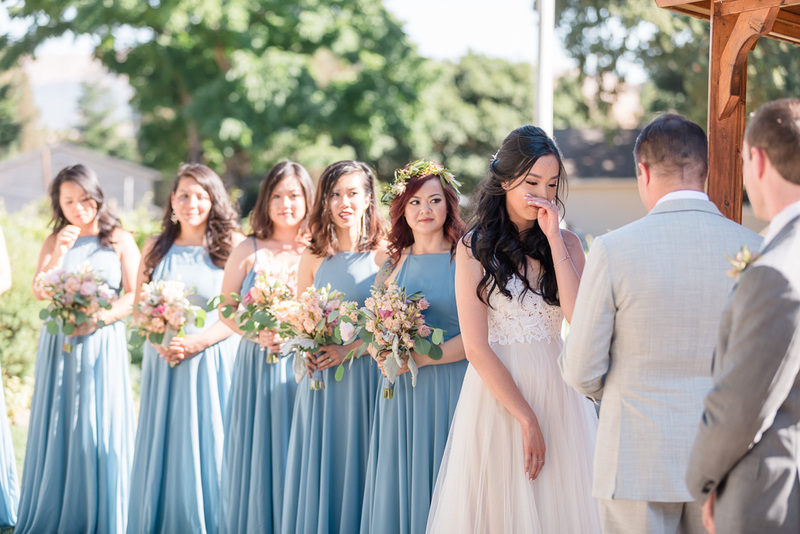 as they walked through the sparkler line and said goodbye to their guests. 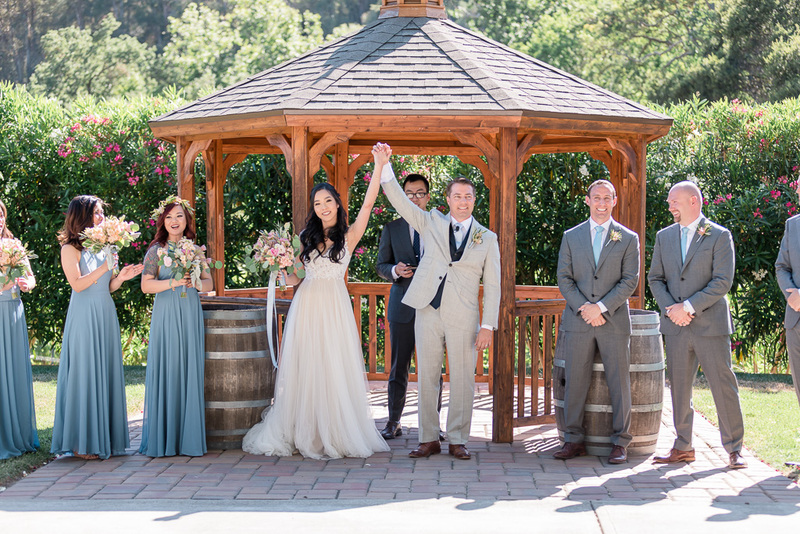 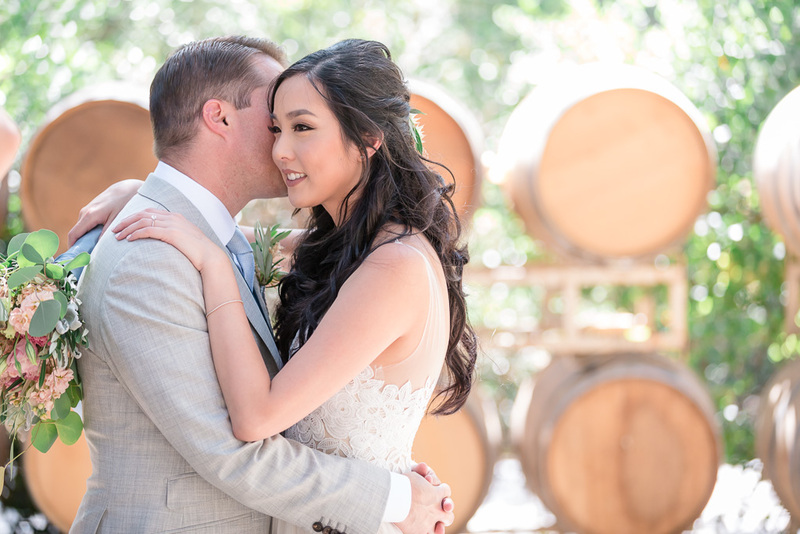 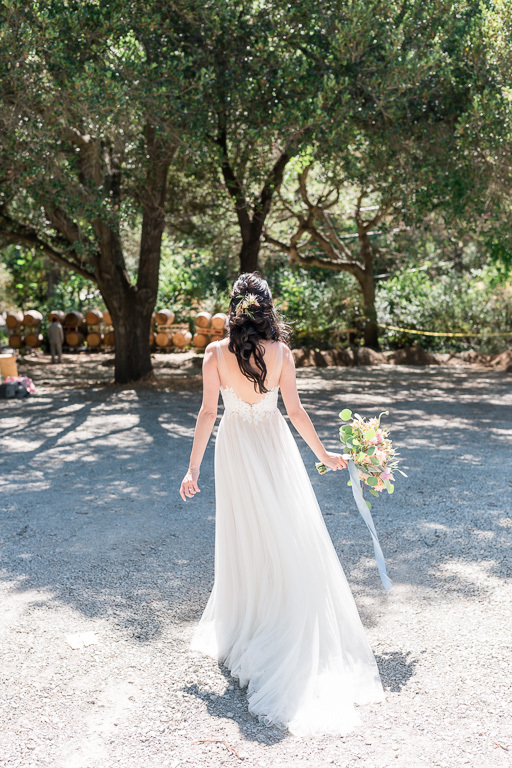 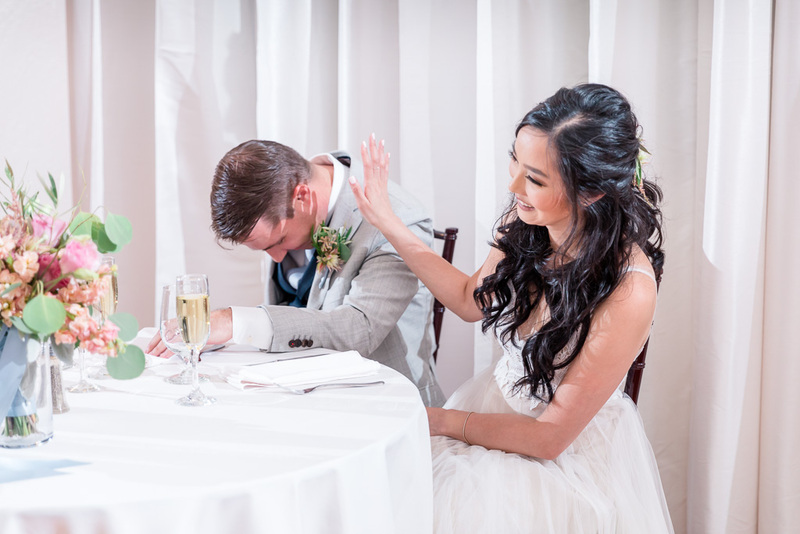 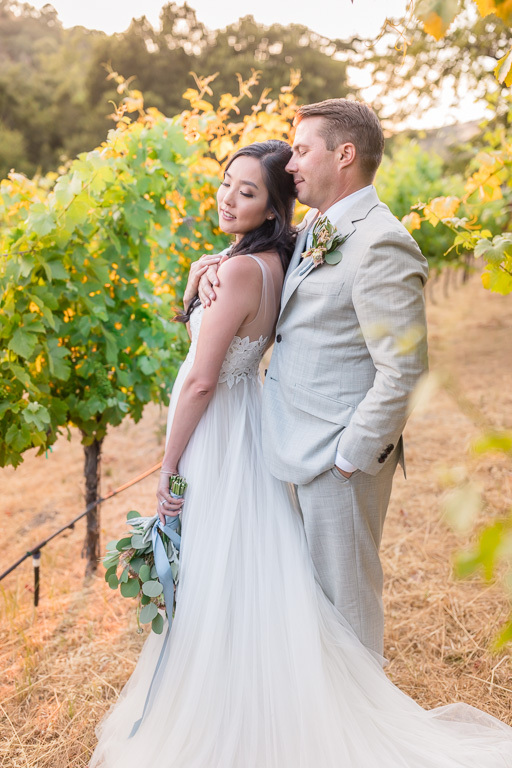 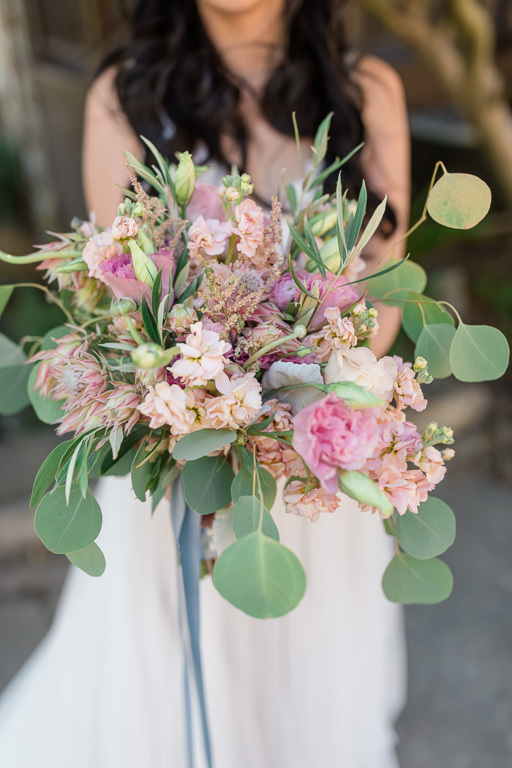 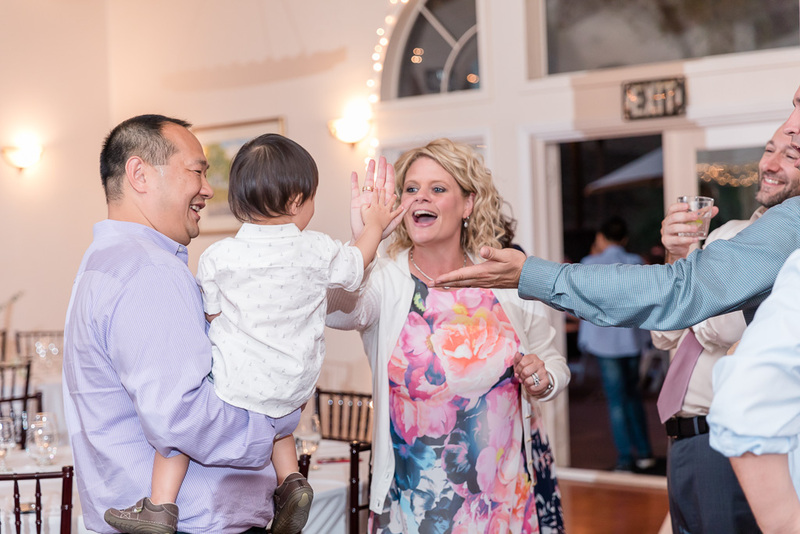 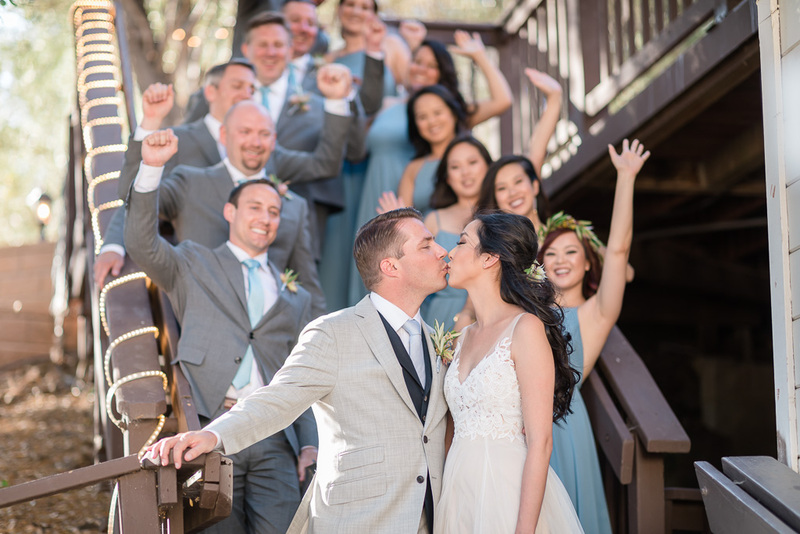 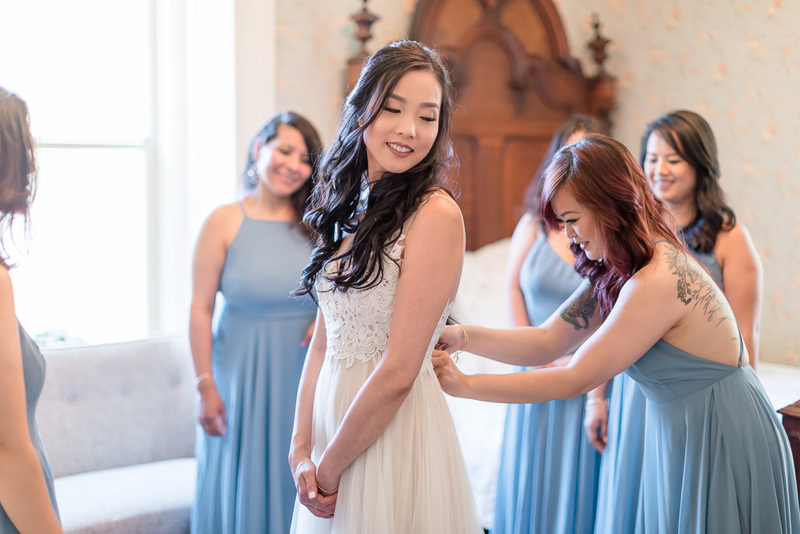 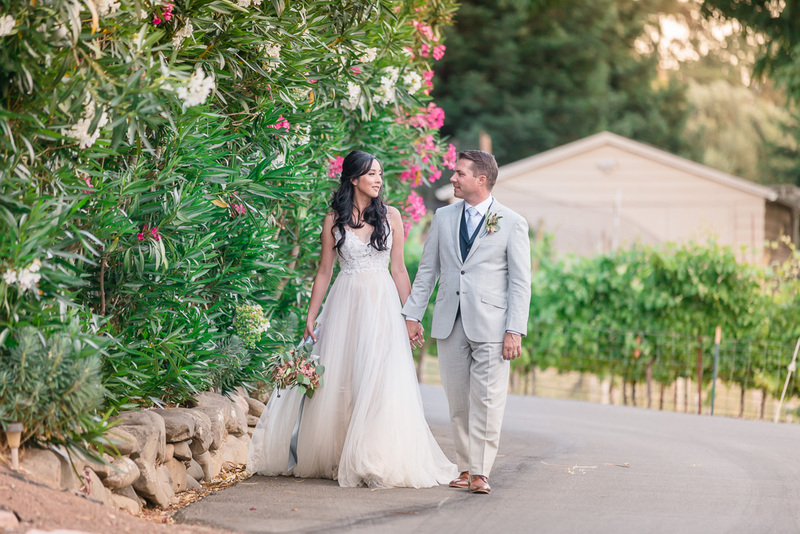 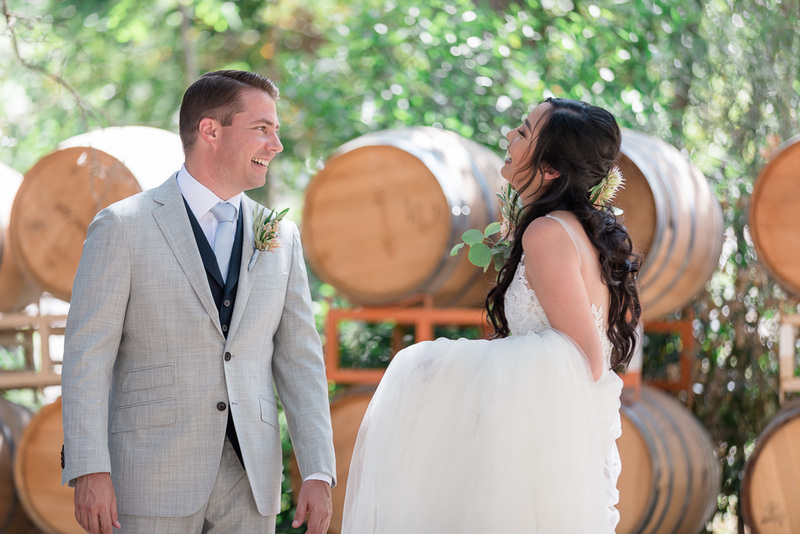 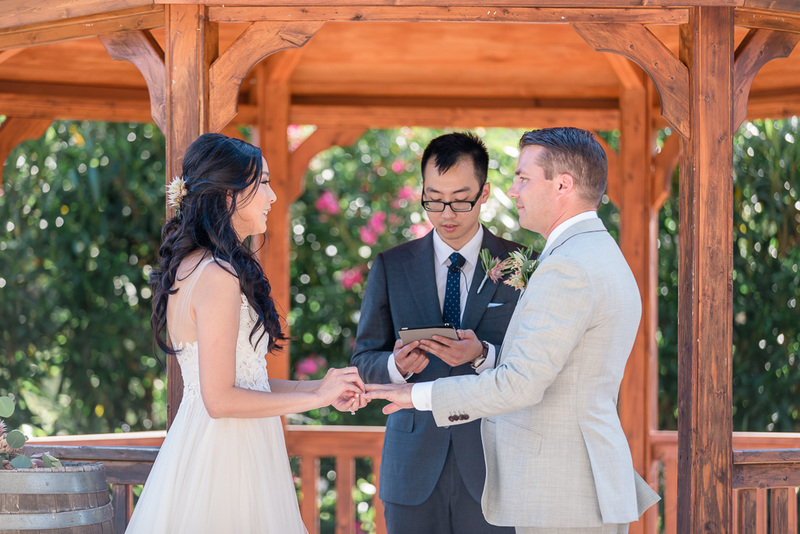 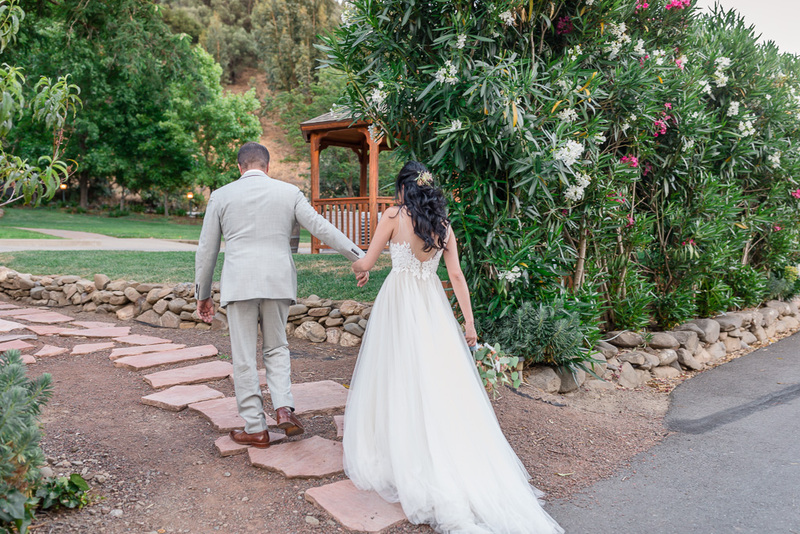 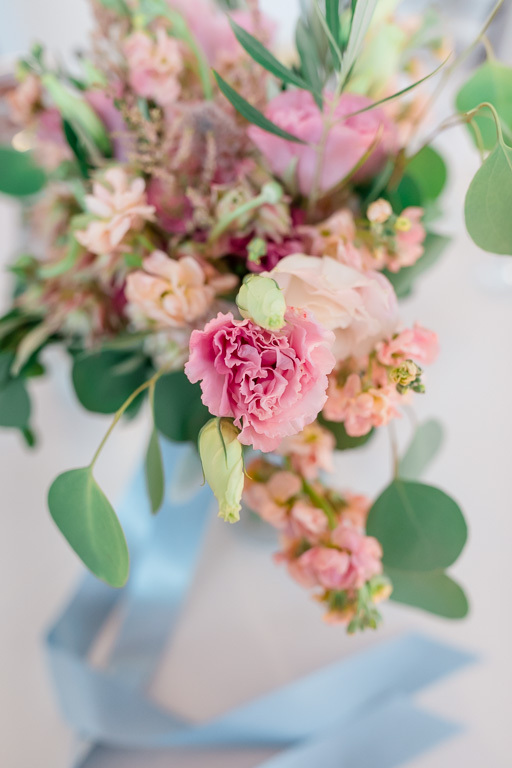 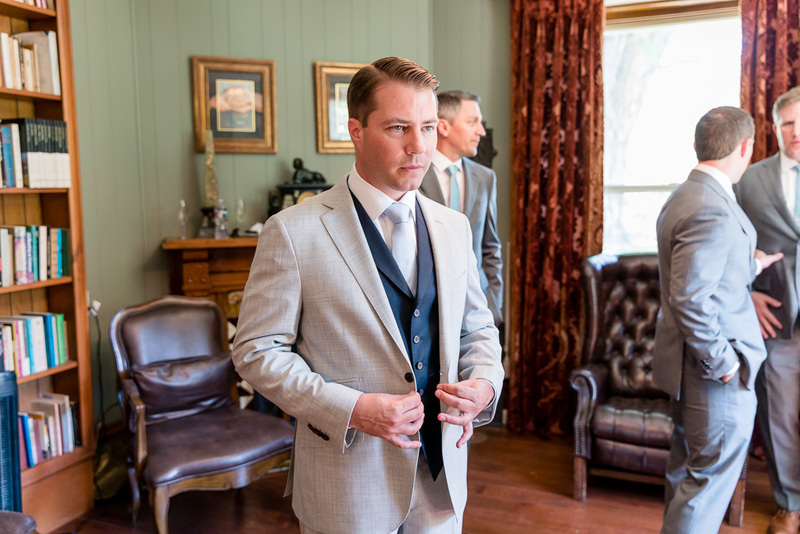 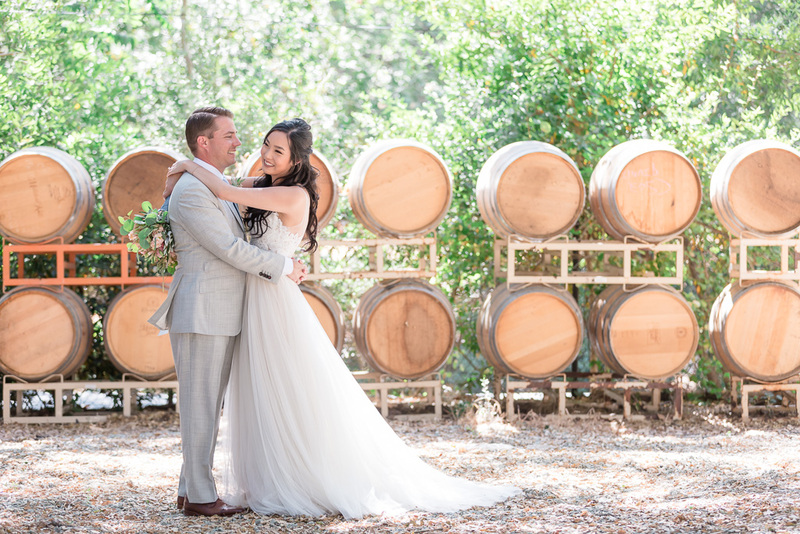 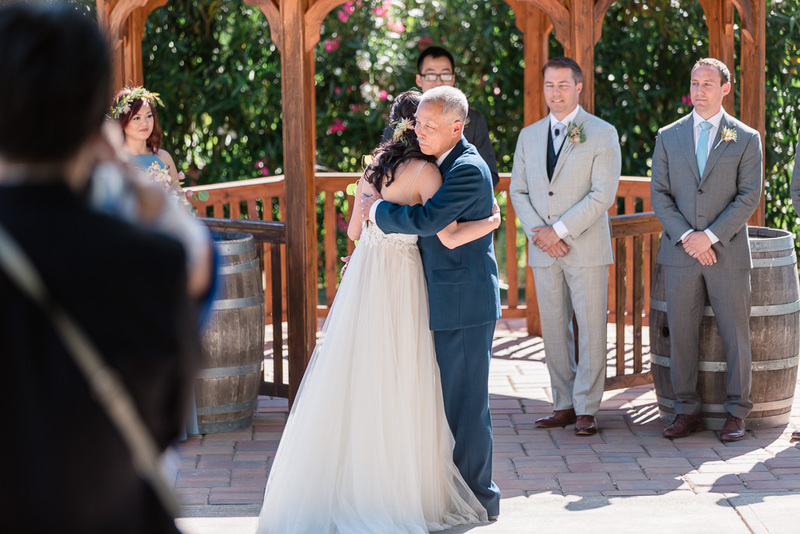 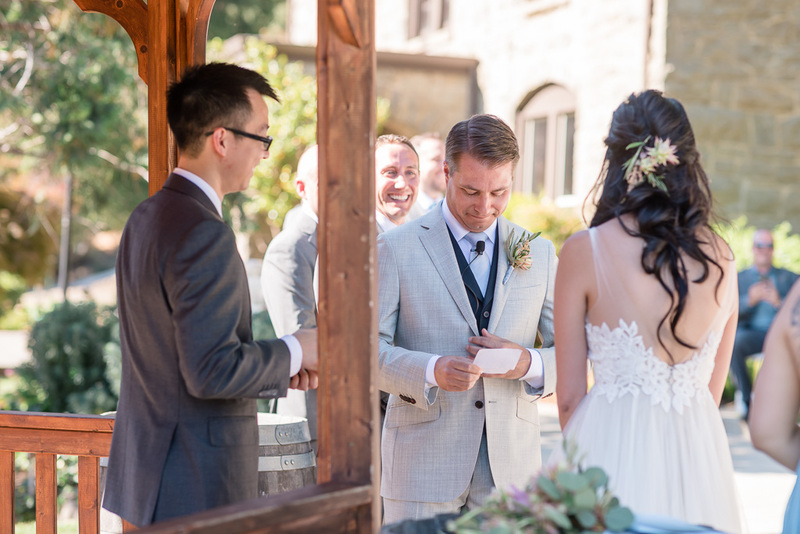 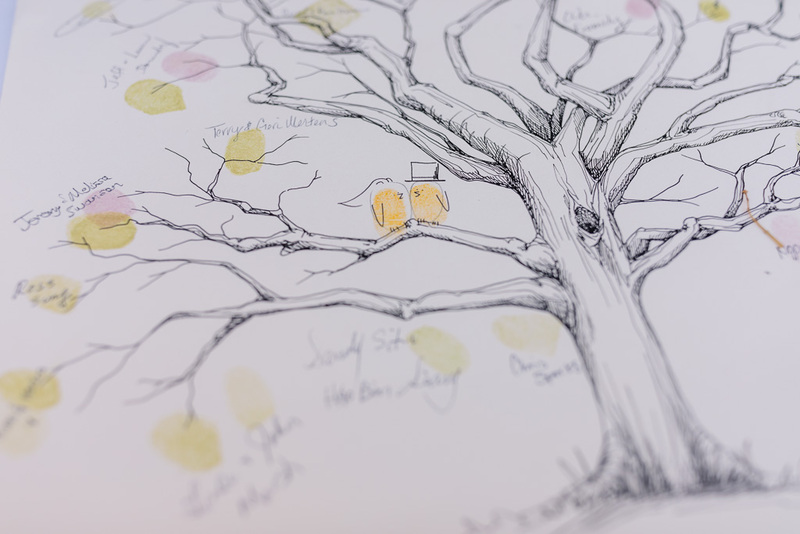 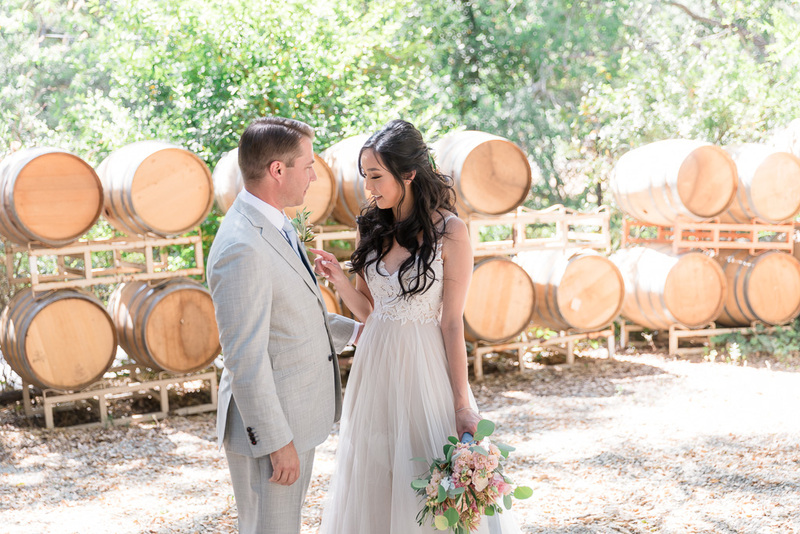 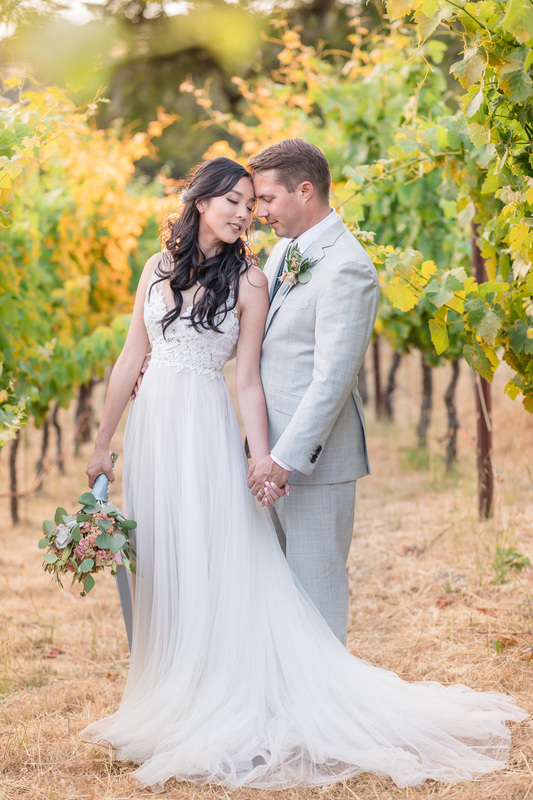 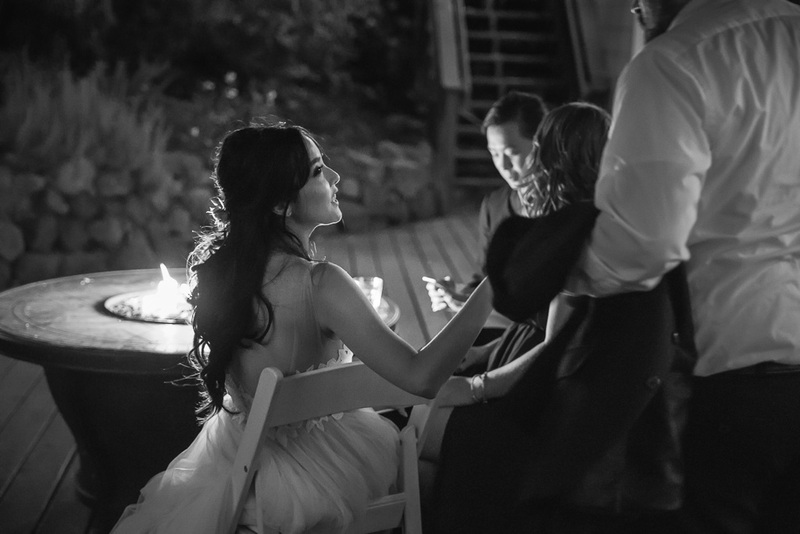 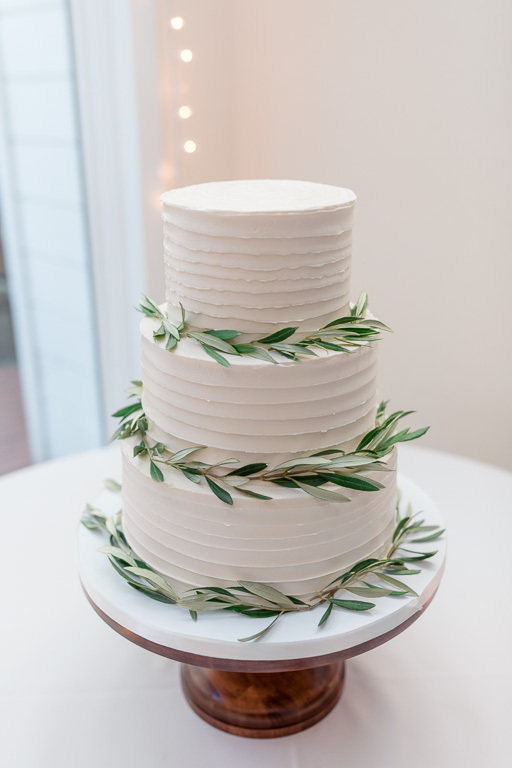 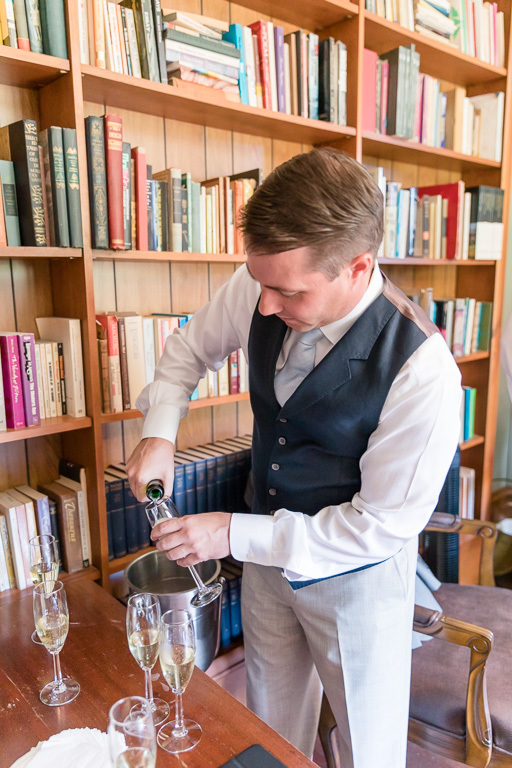 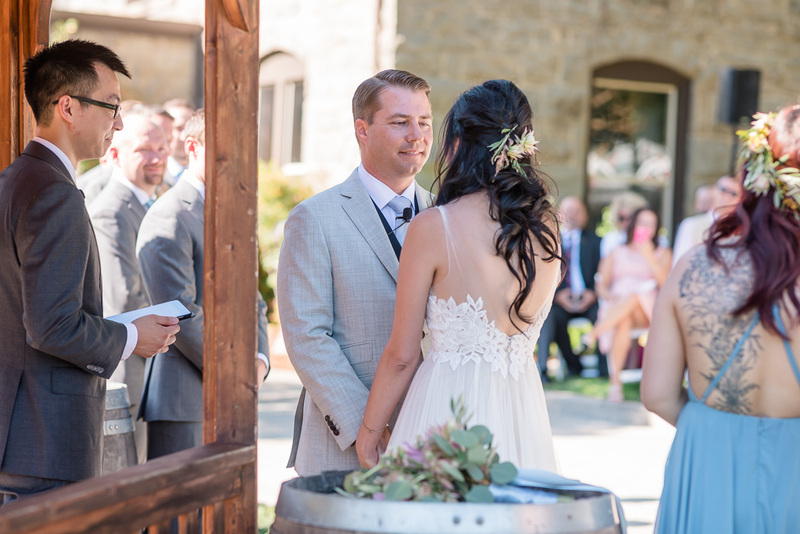 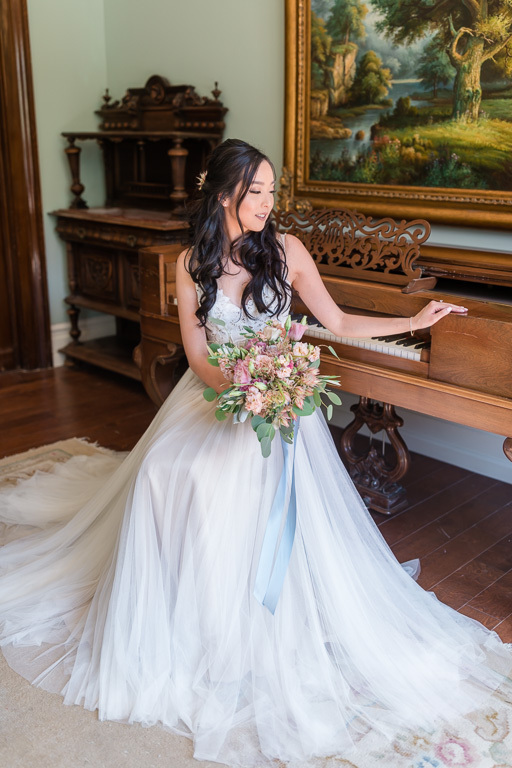 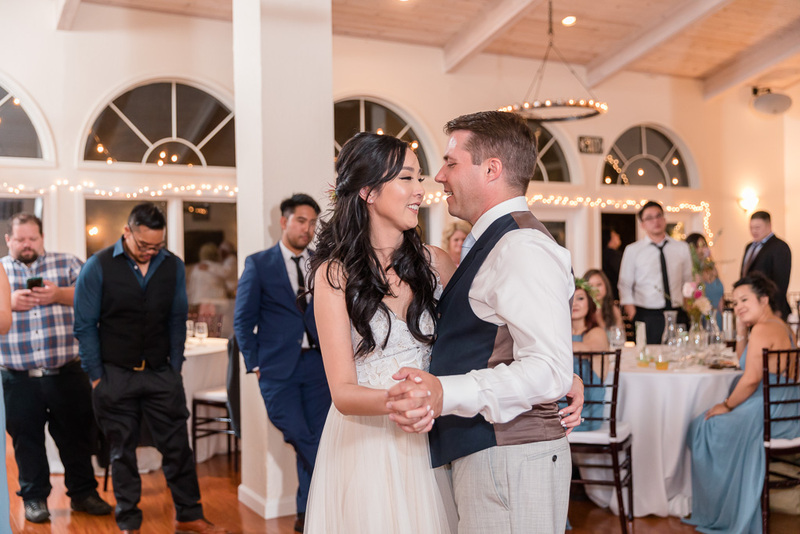 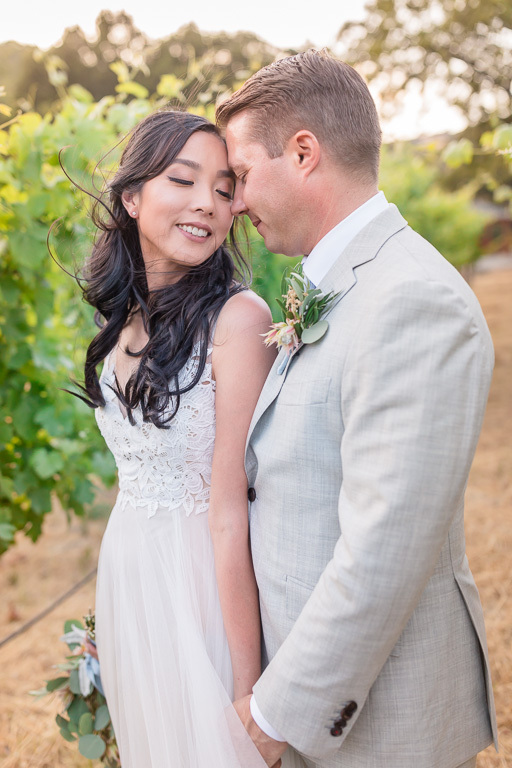 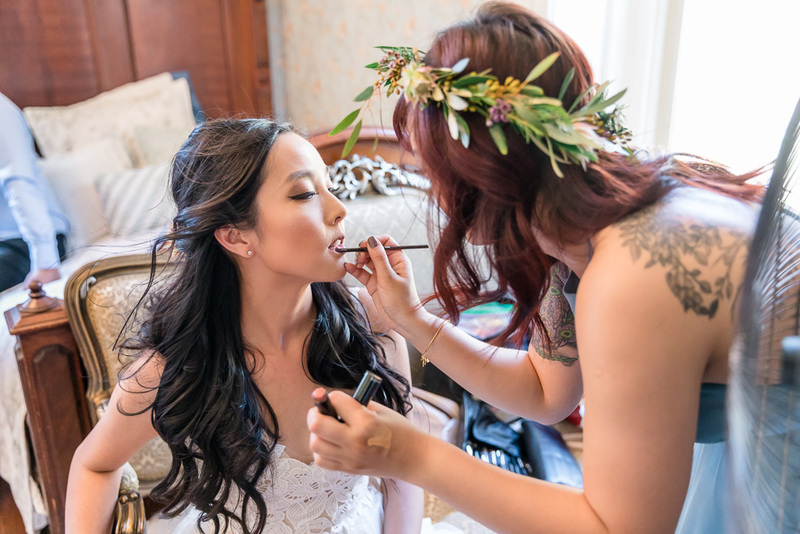 Congrats to Chuck & Amy, and take a look at their Elliston Vineyards wedding photos below!